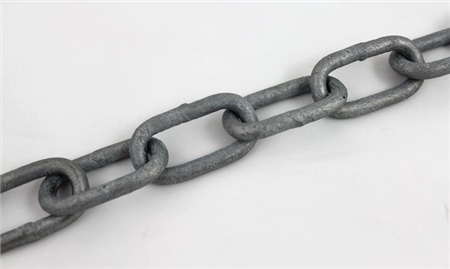 This grade 30 general purpose long link chain is galvanised to ISO1461 (mild steel, non-calibrated) and nominally manufactured to DIN763. Batch tested. Available in 7mm, 8mm, 9.5mm, 13mm and 20mm chain size. Sold per metre.